The brass at Nintendo jumped on a rather annoying bandwagon earlier today when they announced--via Bloomberg--that they will be announcing the release date and price of the 3DS system on Sept. 29. 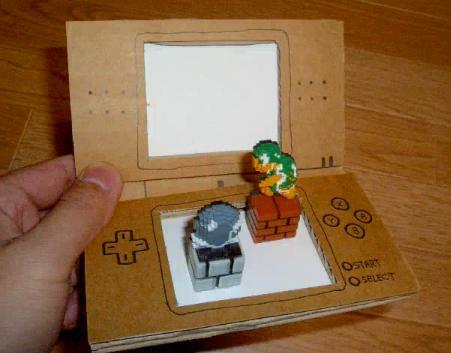 Note: This is not the final design of the 3DS. I'd love it if said announcement consisted of "it'll hit store shelves around the world just in time for Christmas and it'll cost $199," but I'm not going to hold my breath. Much more likely, in my oh-so-humble opinion: It'll be released in Japan only before the end of the year and it'll cost somewhere between $200 and $249. Considering the current length of my DS wish list, I wouldn't much care if Nintendo waited until Christmas 2011 to release its next sure-to-be-super-popular portable. True story. I'm not holding out much hope that it will match the DS in price, sadly. Lalalalalala... I can't hear yoooooooou! OK, you're probably right. I hope it doesn't stay over $200 for long, though.